Xiang Zhong received her B.S. from the Department of Automation, Tsinghua University, Beijing, China, in 2011, and her M.S. in Statistics and Ph.D. in Industrial Engineering from the University of Wisconsin-Madison in 2014 and 2016. Currently, she is an Assistant Professor of the Department of Industrial and Systems Engineering at the University of Florida. 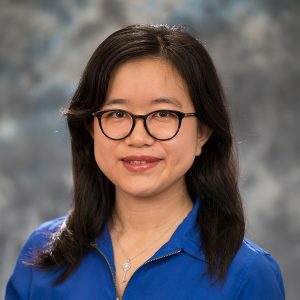 Her research interests include stochastic modeling and control, and data analytics with the application in healthcare, service and production systems. She is a member of IEEE, IISE and INFORMS.